One of the most exciting parts of The Theatre Guild was our Theatre At Sea club, which sailed on fabulous cruise ships with a contingency of Broadway actors, sightseeing and performing our way around the world! 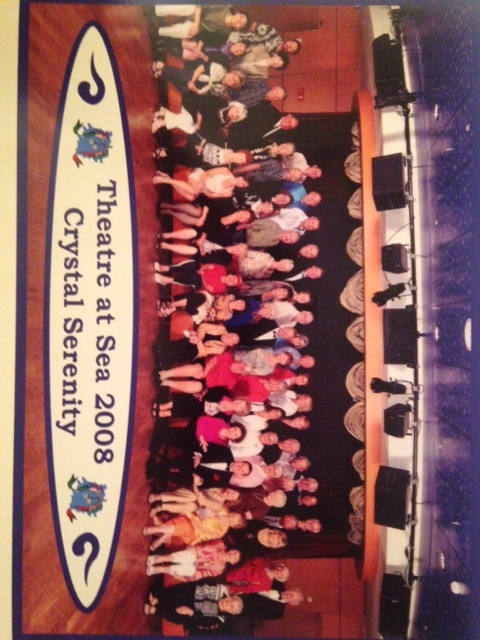 Here we are in 2008 aboard the Crystal Serenity with our group that went to the Mediterranean! Are you still doing Theatre at Sea? Thank you for asking, however, we stopped our Theatre At Sea cruises several years ago.